The Medieval prince Aleksander Nevsky has been chosen as the most important figure in Russian history by a nationwide poll. He beat off a formidable list of historical rivals – including Stalin - to win the title of Greatest Ever Russian. Voters had more than six months to choose from among 500 names. Nevsky had a winning score of 524,575 votes, overtaking the early 20th century reformer Piotr Stolipin with 523.766 nominations. Communist dictator Joseph Stalin finished a close third with 519,071 votes. 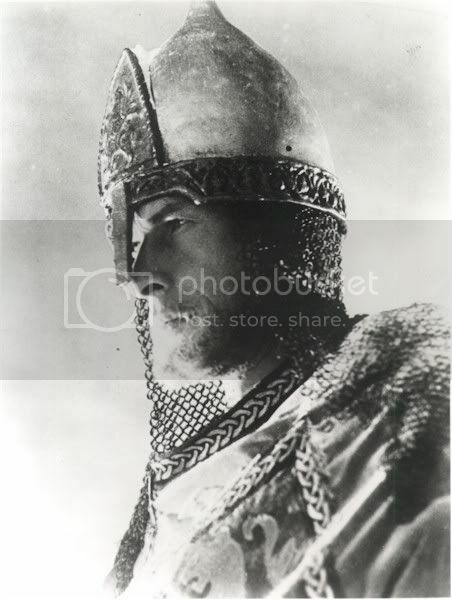 A Russian prince from Novgorod, Alexander got the nickname "Nevsky" after his victory over an army of Swedes in a battle near the Neva river (in present day St Petersburg) in 1240. The Swedes came to Russia to conquer the cities of Novgorod and Pskov and to convert them from Orthodoxy to Catholicism. Historical records say early in the morning of July 15, 1240 Alexander attacked the intruders unexpectedly while they were sleeping and wiped out the enemy troops by the end of the day. Later, in 1242, he conquered the Baltics-based knights of the Tevton Order, in the Ice Battle on Chudskoe lake and stopped them from conquering Russia’s north. The organiser of the Greatest Ever Russian contest, Alexander Liubimov, said Nevsky’s victory in the poll “demonstrates that Russians are dedicated to their ancient history, starting 1,000 years ago.” He said there was awareness in modern Russia that the nation’s ancestors “created a multi-national community within the Russian borders and defended Russia both against East and against west,” he said. In second place behind Nevsky was Pyotr Stolipin, an early 20th century Russian prime minister and a reformer. Stolipin believed in strong executive power in Russia and conducted a series of large-scale reforms in the country. The changes he brought about improved opportunities for well-off peasants. However, his decision to relocate peasants to Siberia to farm its vast lands remains controversial. Stolypin took a tough stance against left-wing extremism and violently suppressed strikes and peasant riots. The Soviet totalitarian leader, Josef Stalin, finished third in the poll. He ran a reign of terror in Russia and was responsible for a series of bloody repressions that affected millions of people across the country. Voting in the poll was suspended in August after Stalin clearly had a majority of the ballots cast the previous month. The organisers ‘zeroed’ the vote, claiming that spammers had attacked the site in order to give Stalin the victory. This time viewers had a choice of voting method. The could use the phone, text message or the internet. Technically, however, each voter was not limited to one vote. National poet Alexander Pushkin took fourth spot ahead of Peter the Great in fifth. Over 400 Lativans have signed a letter addressed to Russian billionaire Roman Abramovich asking him to buy their country, Latvia's novonews.lv website said on Monday. The letter, posted by an unknown person on the petitonline.com website, reads, "Dear Roman Abramovich. As you may already know our homeland Latvia went bankrupt and is currently holding talks with the International Monetary Fund on the sale of our country for 7.5 billion euros ($10.7 billion)." "I would like you to consider the possibility of purchasing Latvia: the population are hard working and pleasant, environmentally clean area and plenty of space to dock your yacht," the letter said. Latvia has experienced the worst economic decline in the European Union, with the country's GDP declining for a third quarter this year by 4.6% against the same period last year. 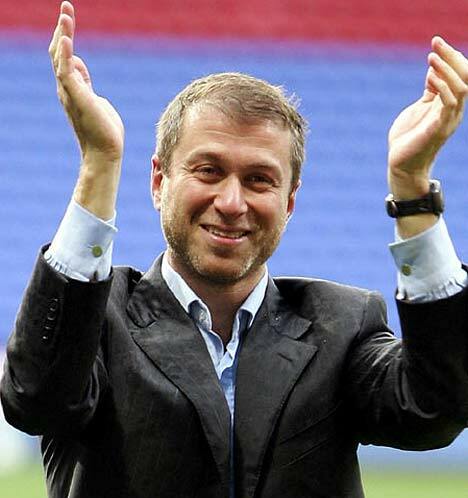 Abramovich is ranked Russia's second richest man by Forbes magazine with an estimated $23 billion. His business interests include steel plants and coal companies in Russia and abroad. In the West, he is more famous as the owner of Chelsea soccer club. Earlier in the year some 2,000 Latvian residents, the country has a population of around 2.3 million, posted a petition on the internet asking the government of Sweden "to occupy" their country.